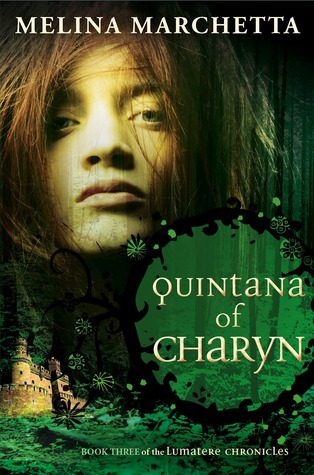 This review is part of the Quintana of Charyn Blog Tour hosted by 132 minutes. Don't forget to visit the other stops in the tour!! This will be a long review. This book deserves it!! Quintana is the ending of a series that's been part of my life for a few years now. A big chunk of my heart belongs to this series and its characters. Something happened to me while reading Quintana. Something I never thought would happen, but it did. I got angry at Finnikin and Isaboe. Though it was only for a little bit, it still hurt me. I've known them for three years of my life. I love these characters with a passion. I feel like they are real and they could do no wrong in my eyes. So for me all of a sudden to dislike them, even if it was for a few chapters, was too much for my heart to handle. This also made me realize, though, that they are not the same characters from Finnikin of the Rock. Isaboe is Queen and Finnikin her consort, (although he will alway be a king in my heart) and because of who they are and what their queendom has been through, they will always put Lumatere and their people first. Sometimes I wanted them to forget about duty and follow their hearts, and follow their hearts they did, but even as they did so, they never forgot about their duty to their people. For this I will always love them. They will always be the love of my literature life. But amidst the short lived anger, uncertainty and desperation to see the end of my favorite characters' suffering, I'd have to say that hope was the feeling that accompanied me throughout this novel. Quintana and Froi to me were the hope in this book. Froi never gave up, and Quintana... Wow. There's a reason why this book was tittle Quintana of Charyn. I've never read about a character quite like her. So much passion, so much hate and wildness encased in her. Sometimes I thought she'd explode from so heavy a load on her shoulders. The secondary characters were also a very important part of QoC. Without them this book would not be a complete book, really. They are as important to the whole plot as the main characters are. It's very hard to choose but I think Perry's and Tesadora's and Phaedra's and Lucian's sub stories were my favorite. Since Finnikin of the Rock I've had a thing for Perry and Lucian. Tesadora is just amazing and powerful. And Phaedra's transformation from shy and sad, to strong and happy warmed my heart. Oh, and Arjuro is one of my favorite characters. I love every single character in this book!! It sounds insane to feel this way about fictional characters, I know. Trust me. But that's the way it is. 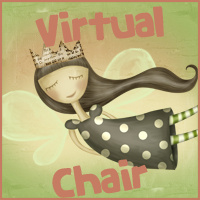 Melina Marchetta writes believable characters. They are so alive that sometimes I forget that I'm not going to see them across the street and say "Good morning my beloved Queen" or "Hey Finn how is it going?" I can't really talk about the plot without giving something away. All I can say is that the plot has Marchetta's signature all over it! It's so her and so amazing. I can't say anymore. You guys have to read Quintana of Charyn to experience the beauty of it. I really don't know how to end this review. My heart is broken because this series is over. I know I can reread it but it's hard to let go of the characters. I want more. I want them to be real. Fill out the Rafflecopter form below for the chance to win The Lumatere Chronicles series. Entrants must be 13 years old to enter. Hosts will not be responsible for lost or damage of goods while in shipment. Winner will be notified via email and will have 24 hours to reply or another will be drawn. No I haven't but I've heard very good things about this series and hope to read it in the near future :) Thanks for the giveaway. Not yet! But I have been meaning to for quite a while now! I haven't read The Lumatere Chronicles but I've known about them for a while now. I've read both Finnicken and Froi and loved them both. I can't wait to read Quintana. I have the first book, just haven't had the chance to read it yet. But I guess I better get myself in gear!! Awesome review. I love this series. Love Love Love! Melina is such an amazing author, her cahracters are so alive and real. So yes I know what its like to think they will be walking across the street. The characters in these books amaze me and they own my heart. I can't wait to read this book! I picked up Finnicken at a book swap but haven't read it yet. I've heard very good things though! Like in this post! No I haven't...yet, but I've heard great things about her books and have some of them on my wishlist!! Thanks for the giveaway!! You know, I actually don't like Isaboe - she's very my way or the high way and that doesn't rub well with me. I started reading the series because it was by Melina and I kept reading it because of Beatriss and Trevanion and Tesadora and the others - Lucian and Phaedra are favorites of mine too - but Isaboe just irks me quite often. I have read the first two books in this series and I ABSOLUTELY LOVE THEM!!!!! Each character has a special place in my heart! I can't wait to read the third book! I want to know what happens. The shocking ending in Froi of the Exiles has left me speechless. 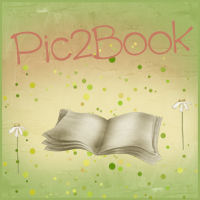 I've read Jellicoe Road, Finnikin of the Rock, and Froi of the Exiles! If I have to choose, I would pick Froi of the Exiles as my favorite! Can't wait to read this one! sorry...i haven't read melina's books before..
No, i haven't read melina's books before. Her book sound interesting, will love to read her book. No I have not read any of her books before. No, I haven't had the chance! I'm ashamed to admit I'm Australian and I only just started reading Melina Marchetta's books. I recently read Saving Francesca and On the Jellicoe Road and they are just brilliant, especially the latter. Her writing is just so lyrical and dreamlike. I'll be reading The Piper's Son soon, and may have to check out this series too! No, I haven't read any yet but I plan to real soon! Definitely JELLICOE ROAD! It's a masterpiece. And I am planning to read more of her books! XD Great giveaway! Thanks! No, I haven't read any of her books yet. No, but I've seen them a lot on Goodreads, and have been really wanting to read them! :D Thank you for the giveaway! No, I would love to!! I haven't yet read any of them but I'm dying to! I've got the first one and I'm planning on starting it soon! If all the good recommendations I got to it are any indication, I'm going to love it!